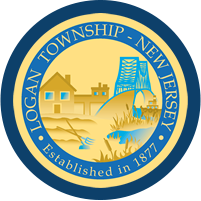 The Logan Township Tax Collector now has a drop box outside the office in the event you visit the Municipal Building to pay your taxes and the office is closed. February 1st/ May 1st/ August 1st/ November 1st. Logan allows a ten (10) day grace period. After the 10th day interest will be calculated back the first of the month. There are special deductions available for our Senior Citizens/Veterans/Disabled persons.